A coroner has found there was a "gross failure" in the care given to a Bath student who died after being found unconscious at a bus stop in the city. Alex Green had been for a night out to celebrate his 22nd birthday. 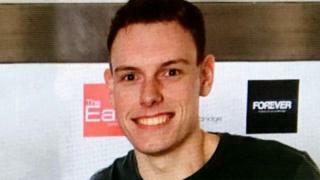 The inquest was told paramedics and staff at Bath's Royal United Hospital assumed he was "drunk" despite having sustained a serious head injury. The hospital said it would "reflect on the coroner's findings" and admitted it failed to detect the injury. In her conclusions, the coroner Maria Voisin said Mr Green died from an accident contributed to by neglect. After leaving his friends he was later found collapsed at a bus stop, and an ambulance was called. The paramedic who treated him described him as "intoxicated with no obvious injuries", the court heard. He was taken to hospital where the diagnosis was that he was "drunk". The coroner said: "The simple case of alcohol intoxication shouldn't have been assumed and the doctor should not have ruled out a head injury." "There was a gross failure to provide basic medical attention. "If his head injuries had been picked up earlier the chances are Alex would have lived." In a statement after the inquest, Mr Green's parents, David and Karen Green, said they were "shocked and appalled by the lack of care ". "[He had] a serious but detectable and treatable head injury which was not properly considered and never diagnosed," the statement added. The Royal United Hospital said it offered its "sincere sympathy and apologies" to Mr Green's family and friends and would now "reflect on the coroner's findings and act on the further learning opportunities identified". "We did not detect any evidence or signs of a head injury, and therefore Alex's symptoms were attributed only to alcohol intoxication and managed accordingly," it said in a statement.